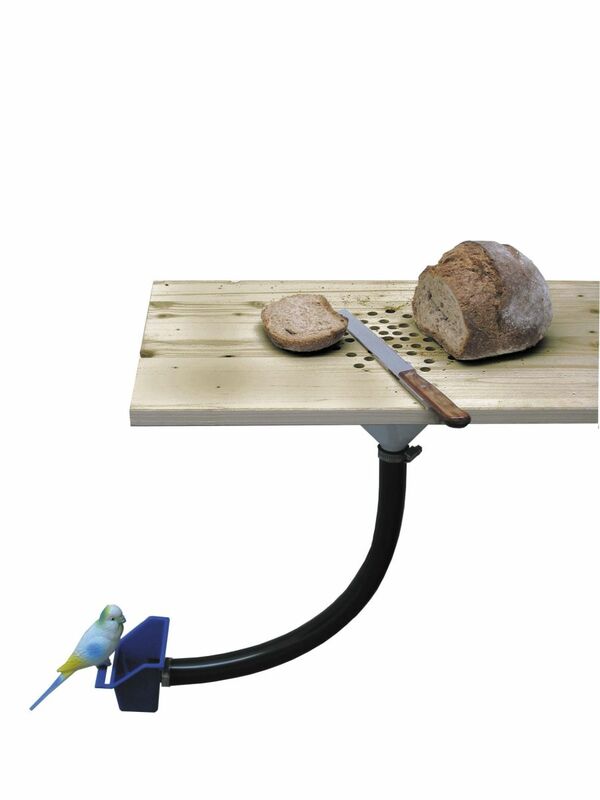 The Bread Board / Bird Feeder, designed by Curro Claret. 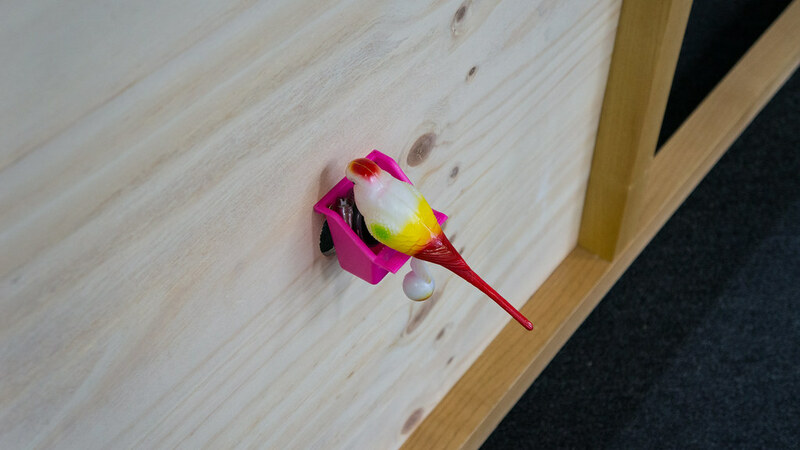 (You can see a better picture here). 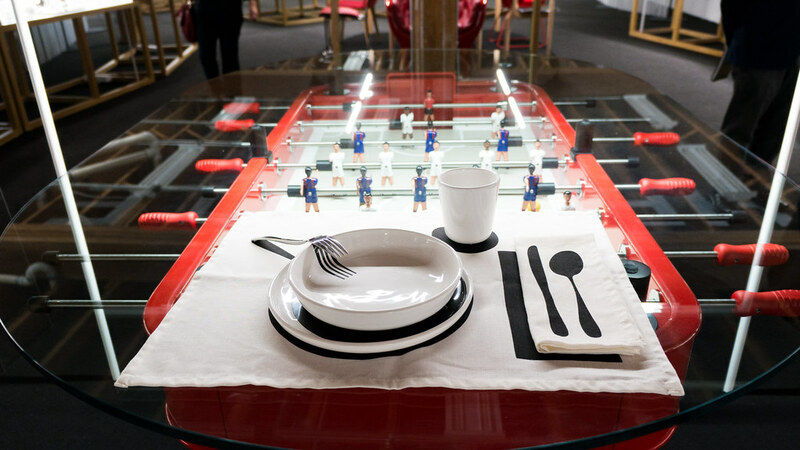 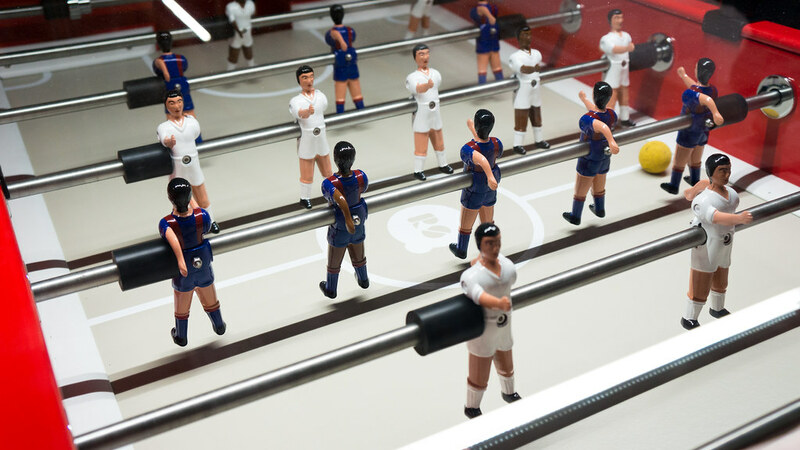 Foosball Dinner Table, used by José Andrés at Jaleo in Las Vegas. 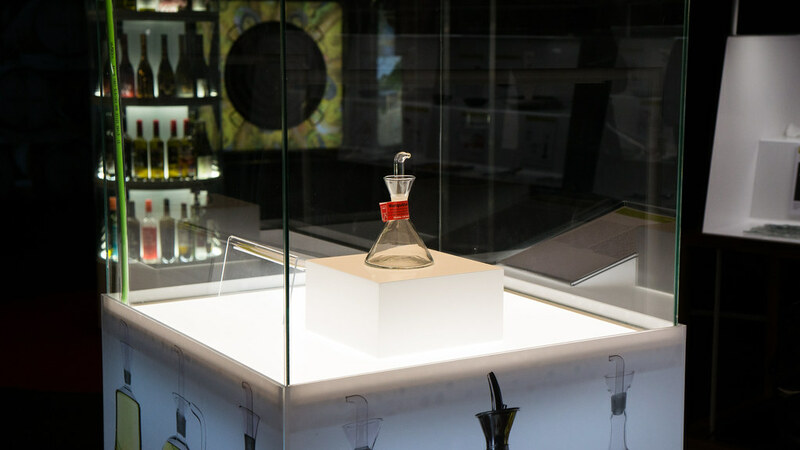 The "perfect" Olive Oil Cruet, designed in 1961 by Rafael Marquina. 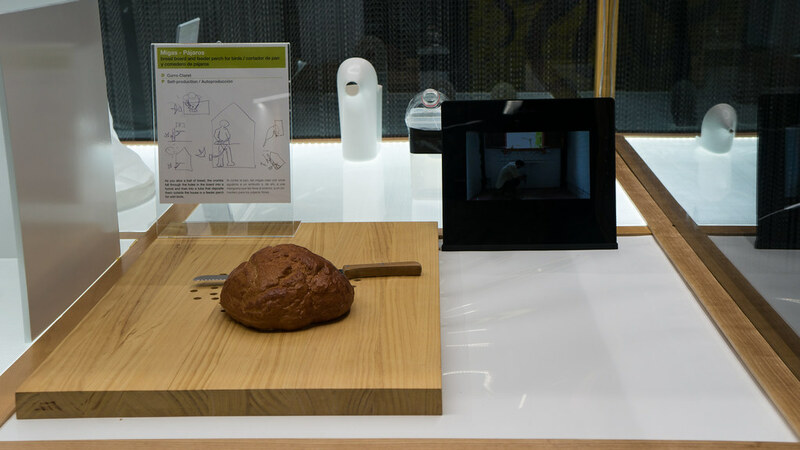 Borrowing design elements from chemistry flasks, it sits flat and won't easily be knocked over, it doesn't drip because droplets are returned to the flask via the ridged cone on top, it requires no saucer, and requires no stopper to seal it. 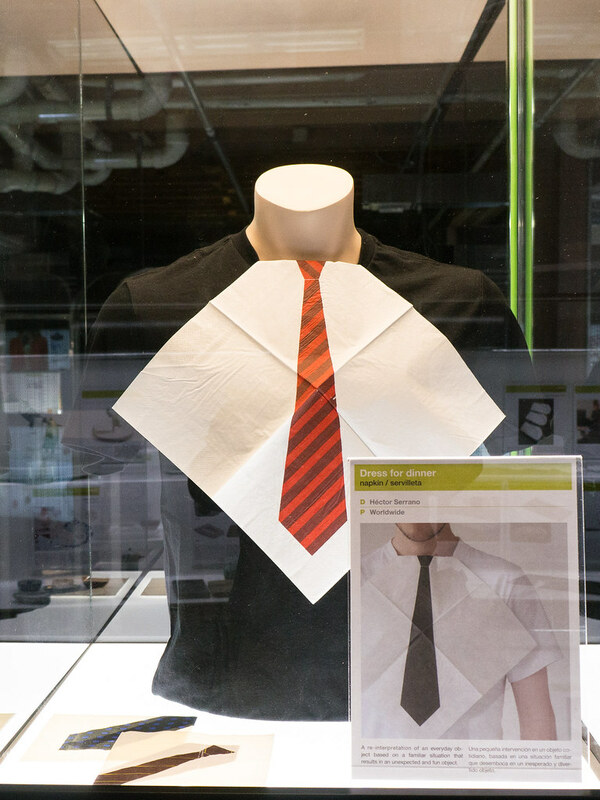 "Dress for Dinner," a paper napkin imprinted with a tie, designed by Hector Serrano. 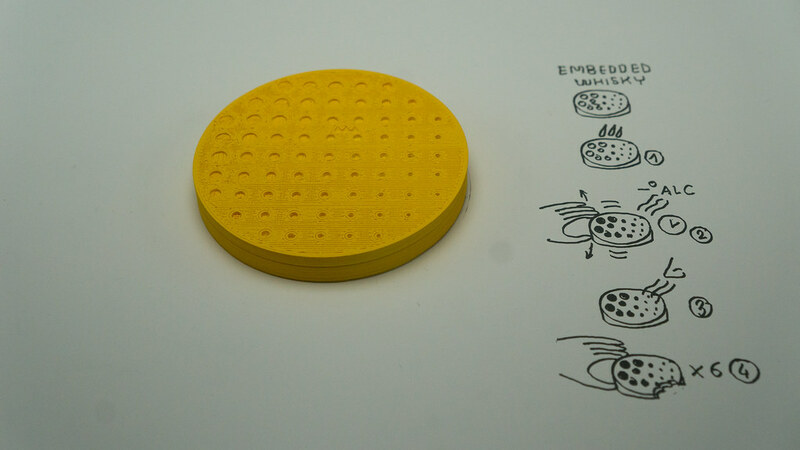 Repoussé tableware, designed by Luki Huber in collaboration with Ferran Adrià for use at El Bulli (I have a picture of this plate in action here). 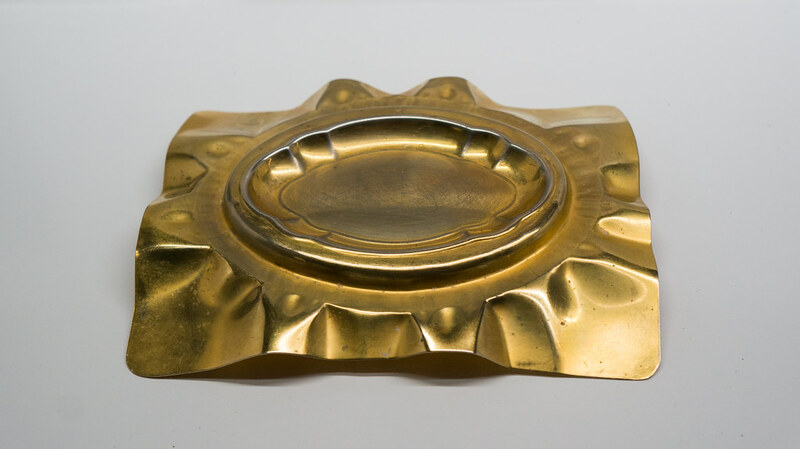 "Embedded Drinks," created by Marti Guixé - a series of edible items created as receptacles for different liquors. 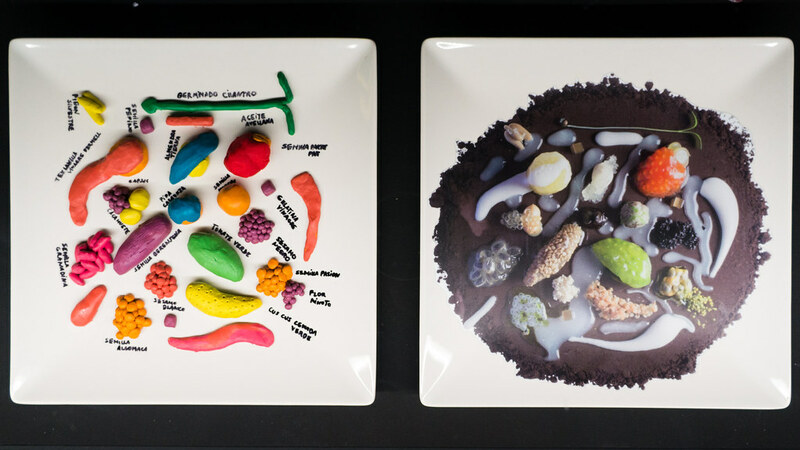 Plasticine models, used at El Bulli to record and recreate plate compositions. 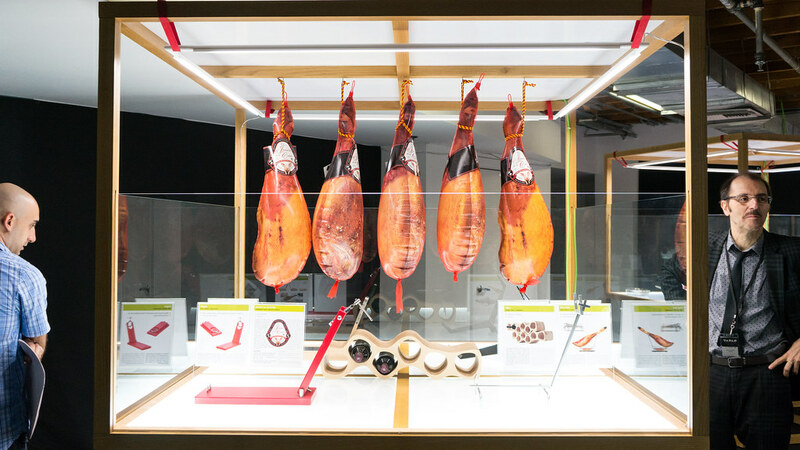 Aside from the regular exhibition, which is open now and will be running through December 15, 2013, there are a number of other events taking place in conjunction with the show. 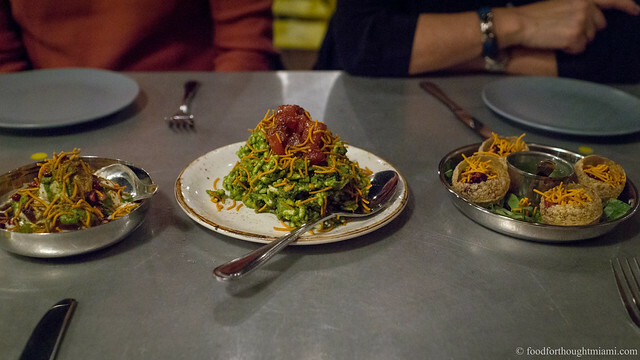 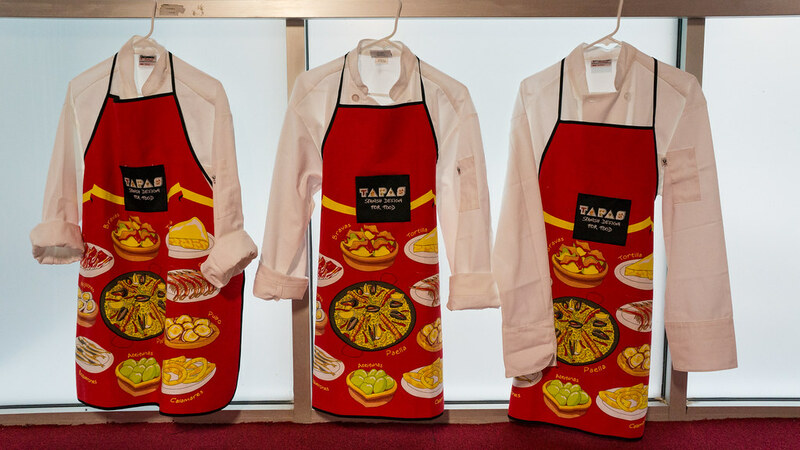 On November 12, 2013 it will be hosting "Spain's Great Match," a tasting of Spanish wines and tapas; there will be lectures by chefs José Andrés (Nov. 19), Maricel Presilla (Nov. 20) and Michelle Bernstein (Nov. 26), raw food workchops by Motse Guillén and Augustí Comabella, and more. 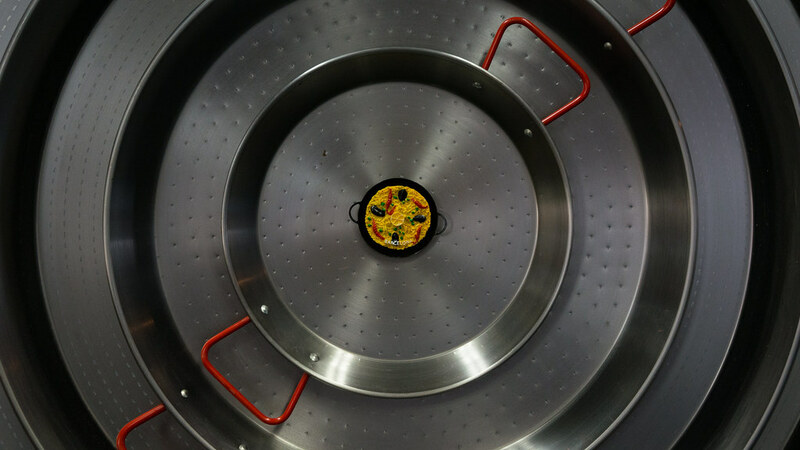 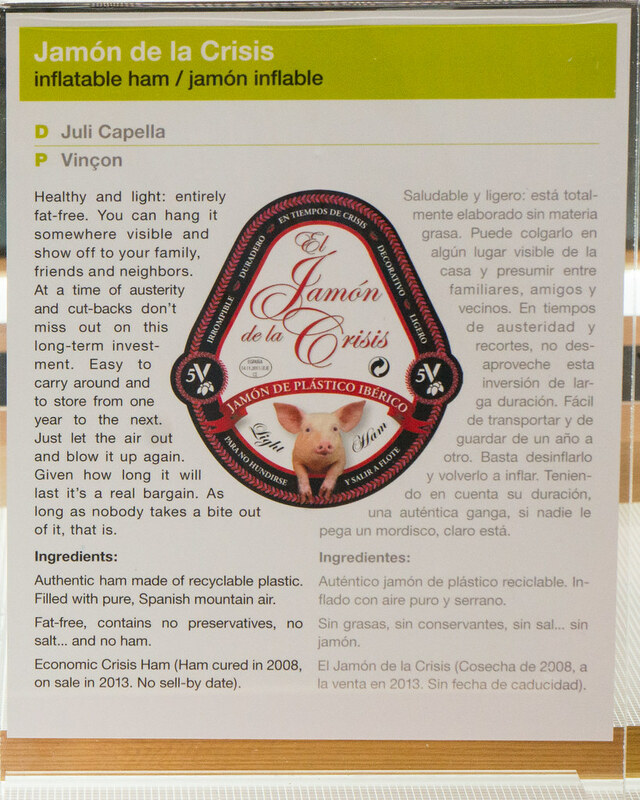 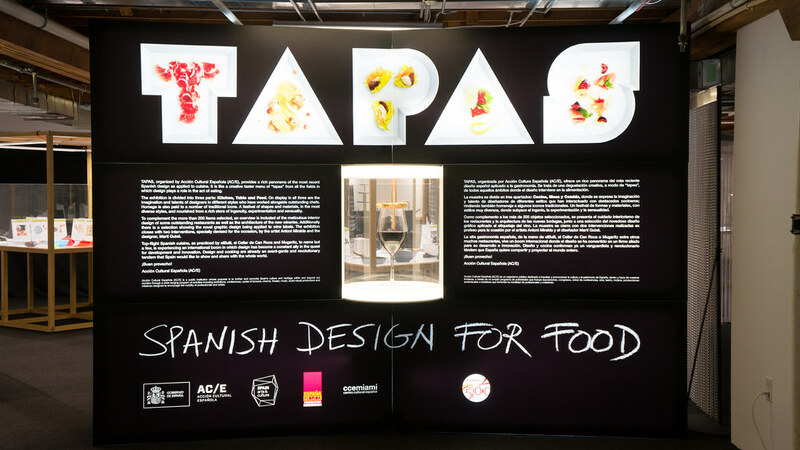 If you are a tapas fan, an Iberophile, a design buff, or any type of food geek, you will want to see this.